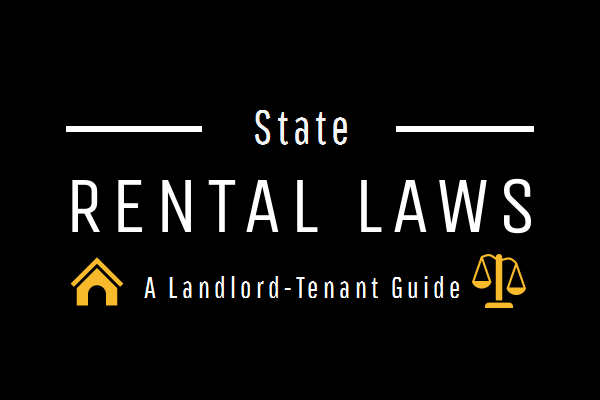 Rentec Direct has curated state specific resource guides for landlord-tenant laws. Laws pertaining to rental housing are established to protect both parties of the landlord-tenant relationship. Knowledge of and compliance with federal, state and local regulations is crucial for both landlords and tenants. Landlord-tenant laws vary by state so it is essential that every rental property owner, manager, and renter learn the rules and statutes that affect them. Rentec Direct’s research team is in the process of creating a detailed resource guide for landlords and renters in each state. If you do not yet see your state included on this list, we are in the process of creating it for you. Check back soon to find your state’s rental laws. As a landlord, understanding your rights and legal obligations will help you protect yourself, your rental business and your investment property. It is very important to become familiar with landlord-tenant laws specific to your state and city. Ignorance of the laws is no excuse and you can be sued for not obeying state laws, even if you were unaware of their existence. States laws regarding rental properties and tenant rights typically concern practical matters. These include things like the rights and responsibilities of tenants and landlords, what terms and conditions can be set as part of a lease, lease termination guidelines, and how evictions must be handled. State laws can also dictate how much a landlord can charge for security deposits, how those funds can legally be handled, and how property managers must use trust accounts for rental income. The Fair Credit Reporting Act dictates the ways in which a landlord may use a tenant’s credit history for screening purposes. Under this act, a landlord must get an applicant’s permission to run a credit report, provide information on the credit reporting agency used, and inform the applicant if information contained on the credit report was the basis for denial or adverse action.